One of the more memorable days of poker we’ve covered ended with the final table decided for the third running of the MAIN EVENT at Crown Melbourne. Midway through day two, David Chilcott had committed the last of his chips with his tournament life at stake, but he steadily climbed up the chip count to finish with the chip lead with 10 players remaining. Play kicked-off at 10am this morning with 178 of the 445 starters returning in pursuit of one of the 54 spots in the money. The tone of the day was quickly established with the first 80 players eliminated at the rate of one every minute! It took less than four hours of play to reach the bubble, with the pain of Guy Jones’ elimination tempered by the news that he would win a seat to the next MAIN EVENT later this year. The final table was decided when Gerhard Niess shoved with A-Q and Andrew Dales called in the big blind, showing pocket 10s. Dales’ hand stayed in front as the board ran out J-J-6-4-4 to send Neiss to the rail in 11th place. Day one chip leader Matt Nienhuys fell short of the money while players such as Andrew Dales, Daniel Keast, Luke Simpson and Amjed Slewa stayed near the head of the count for much of the day. Connie Diakovasilis nursed a short stack for much of the day with semi-regular double-ups ensuring her a shot at becoming the first female MAIN EVENT champion. However, the popular support will be with Mornington Peninsula player Jonathan ‘Jono’ Bredin – with the help of a couple of friends handling the hole card and betting duties, the 22-year-old wheelchair-bound poker fanatic is fourth in chips and already assured a nice payday. Join PMA tomorrow from 2pm for the final table action at MAIN EVENT III as the final 10 players set sail for the first prize package of $100,000, including Aussie Millions Main Event and MAIN EVENT IV seats and a stunning $5000 championship bracelet. Ladies and gentlemen, we have reached our FINAL TABLE! Gerhard Niess shoved with A-Q and Andrew Dales called in the big blind showing 10-10. Andrew stayed in front as the board ran out J J 6 4 4 to send Gerhard to the rail in 11th place. Sam Papadimatos has been a larger than life figure over the past two days but his fight has ended, finishing in 12th place. There was no luck for Sam who was all-in with 9h-9d to David Chilcott’s Jc-5c when the board ran out Ac-Qc-10s-As-Kc to make David’s flush on the river. 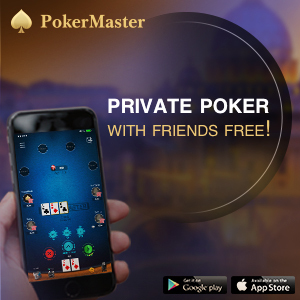 Play is now hand for hand until we lose our next player to reach the final table. Jonathan Bredin is taking charge as we approach the final table bubble. After an initial raise, Mark Pendergast eventually shoved with K-J and was called by Jonathan who turned over A-J. The board ran out 6-A-Q-A-K, sending Pendergast to the rail in 13th place. Alan Bird bowed out in 14th with what we thought was going to be less than 10 minutes left in the day’s play, earning $3600. The former chip leader was almost down to the felt when he shoved with 10-4, with Jonathan Brebin making the call (9-7). A nine in the window was enough for Brebin to scoop the pot. We’ve just heard that play will continue to the final table tonight so we’ll be here until the next three players are eliminated. Dorothy Bagshaw has endured a roller coaster MAIN EVENT ride but it all ended well with a 15th-place finish, good for $3600. Her tournament life came down to pocket 10s against the pocket jacks of Sam Papadimatos. The board fell A-7-K-9-2. Along with fellow West Australian Edith DeGimbattista, Dorothy is the first player of Aboriginal descent (male or female) we can ever remember seeing in a tournament of this stature so for both players to cash is an amazing achievement. Congrats ladies! Shaun Elliott’s hopes of a MAIN EVENT victory have ended in 16th place ($3600). Down to just 120,000, the Queenslander was all-in with K-10. Two players, holding A-Q and K-6 respectively, checked it down with an A on the flop sending the pot to David Chilcott. With just over five minutes to play in level 24, blinds will soon be up to 25,000/50,000 (ante 5000). It seems players can’t wait to head off and change before tonight’s party! MAIN EVENT III is over for East Sydney’s Aldo Ortitullo after he became the latest victim of Andrew Dales. The South Australian called Ortitullo’s all-in with Q-9 to marginally trail A-6 until a Q landed on the flop. He became the first player to earn $3600. Wonthaggi’s Jamie Blackman was next to visit the cashier’s desk to collect his $3600 for 17th. It was K-J for Blackman against A-2 for Pendergast but neither hand improved to land Pendergast a pot of more than 200,000. The clock has just ticked into level 24, where the blinds are 20,000/40,000 (ante 5000). There are 16 players spread across two tables, and the average stack is up to 835,000. The final Tasmanian player in the field, Sam Perkins, has bowed out in 20th position. It was Andrew Dales (pictured below) who added another scalp to his belt when his pocket jacks prevailed on a 10-high board against the A-Q of Perkins. Shortly after, Marc Jankovic was confirmed in 19th when his Q-7 failed to connect an eight-high board against the A-J of Michael Ho. We also just watched Alan Bird double-up in remarkable circumstances after his 9s-10s turned a full house against the pocket jacks of Mark Pendergast. Bird had been down as low as 275,000, but climbs back to 960,000 after taking down this pot. Finally, after a torrid day of action, play has slowed with 20 players still in contention for one of 10 spots at the final table. A slight change of plans given the field has been reduced so dramatically – we’ll be playing to 7pm or the final table, whichever comes first. Bendigo’s Tyson Chaplin was down to 40,000 not long before the bubble and ground his way all the way to 21st, good for $2600. Chaplin was all-in with A-K and fancied his chances against the 10-4 of Andrew Dales – that was until a 4 landed on the flop. Dales dodged a dozen outs to add another slab of chips to his healthy stack. Players in the MAIN EVENT are on a 10-minute break with just 21 remaining. The latest casualty was Brad Warner, who initially doubled his short stack with A-5 against 4-3 and then decided to chance his luck with Ah-Qh against the pocket sixes of Sam Papadimatos. The sixes held to KO Warner in 24th for $2600. On the final hand before the break, Terrance Revell committed the last of his short stack with J-4, and looked in a world of hurt against the K-Q of Luke Simpson. Revell’s hand didn’t improve and he’s out in 23rd. Queensland’s Paul O’Connell was also eliminated before the break in 22nd. With less than 10 minutes to play before the final break of the day, the MAIN EVENT field is down to 24. Dot Bagshaw claimed two scalps in the one hand when her pocket kings held firm against the A-10 of Gavin Awyzio and pocket fives of Sean Perkins. The board ran out J-3-Q-8-J to hand the West Australian a timely boost to her stack. Steve Parker then departed in 25th after his A-2 ran into the A-J of Michael Geremia, who made a straight on the 10-9-K-Q-9 board. Joseph Tablie has nursed a short stack for hours and finally succumbed in 29th spot, good for $2100. Indeed, he looked well positioned for another double-up with pocket kings against the A-5 of his opponent until an ace sailed down the river to end his MAIN EVENT. Leigh Clark (30th) and Aaron Jenkins (31st) have also been eliminated, while Ryan Tantschev was confirmed in 28th after his pocket fours ran into pocket jacks, with a jack in the window sending him to the cashier’s desk. Luke Simpson has smashed through the one-million chip barrier after sending Carmen Fenech to the rail in 32nd place. It was A-J for Simpson which had Fenech’s A-8 dominated on a board that was dealt A-7-10-4-K. Other recent eliminations included Daniel Kidd (33rd), Dieter Corsten (34th) and Paul Fenton (35th), who lost a massive pot to Simpson with A-10 against A-K.
Two NSW Outer West players are the latest departures from MAIN EVENT III with Ross Bella in 37th while Chris Zammit is the first player to collect $2100 after finishing 36th. We have 21 minutes to play in level 21, with blinds at 10,000/20,000 with an ante of 2000. Amjed Slewa remains the chip leader with 1.2 million. A big contingent of WA players have just cheered the efforts of Edith DeGiambattista, who finished 38th in MAIN EVENT III. Short-stacked, Edith’s hand was forced with Q-2 but the Q-J of chip leader Amjed Slewa played on a board of 6-3-5-Q-A. George Obiso was the 39th-placed player, with both players earning $1800. In quick succession, several players have been KOed leaving the field at 39 nearing the end of level 20. The latest eliminations were Billy Gatt (45th), Scott Lunn (44th), Wayne Parkes (43rd), Deanne Carabetta (42nd), Daniel Magrin (41st) and Ronald Cruz (40th). The next pay jump is at 36th, with prizemoney rising from $1800 to $2100. Blinds are up to 10,000/20,000 with an ante of 2000, while the average stack is at 342,000. Ian Courtney (48th) and Paul Ridsdale (49th) are the latest players to hit the rail in the MAIN EVENT. Courtney looked in reasonable shape after his Q-5 found a Q on the flop, but they were all hearts and chip leader Amjed Slewa held red 10s. Sure enough, the Kh landed on the turn to eliminate the Queenslander. Daniel Ey has also just bowed out in 47th. Two massive stacks have emerged in MAIN EVENT III, belonging to Michael Ho (960,000) and Amjed Slewa (950,000). Other prominent stacks as we head in level 20 include Shaun Perkins (833,000), Luke Simpson (545,000), Shaun Elliott (520,000), Mark Pendergast (450,000) and Paul Fenton (420,000). With the departure of Jason Butler in 50th position, we have seven players spread across seven tables entering the third session of play on day two of the MAIN EVENT. Play will resume with blinds at level 20 (8000/16,000, ante 2000). Full House Group TD Garth Kay has informed us that the field will play down to the final two tables leaving 18 players to return for day three tomorrow. That will give players plenty of time to prepare for tonight’s summer-themed players’ party at The Boat Builders Yard from 7.30pm. 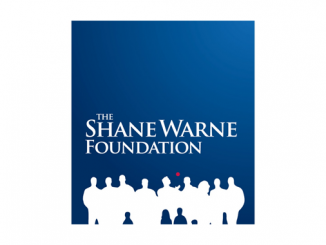 PMA will be providing sponsored budgie smugglers and complementary Stilnox for anyone planning a dip in the Yarra! Not surprisingly, the shriek of “all-in, call” is echoing through the Crown Poker room as the short stacks make their move. John Dredge (54th) was first player out in the money, followed by Wayne Serasin (A-9 versus the A-K) of Dieter Corsten and Toby Giles (his pocket fours were overtaken by A-Q on the flop). Tony Allen bowed out in 51st – his A-10 connected the flop against the A-Q of Sam Perkins but the latter rivered a flush. The next break is less than 10 minutes away, with 50 players still in the field and the average stack at just over 267,000. It’s just past 2pm on day two of the MAIN EVENT, with the remaining 54 players assured a minimum payout of $1800 after the elimination of Guy Jones. He shoved with A-Q but ran into the pocket kings of Aaron Jenkyns. The board came J-6-3-2-4 to send the field into the money, but not before a nervous wait on two other tables where action was pending. But it’s not all bad news for the bubble-finisher, who wins a seat to the next running of the MAIN EVENT later this year. The MAIN EVENT III field is on the bubble after the elimination of Bao Vo in 56th position. It was 10d-9d for Vo and his tiny stack against Ah-Qs for Michael Geremia, who took the pot after the dealer spread a board of Ad-6h-3c-7h-4s. We have just over 30 minutes to play in level 18, and the average stack of the remaining 55 players is 242,727. We’re down to 56 players in the MAIN EVENT after the eliminations of Tereza Sciascia, Alan Casas, Gary Ross (his A-2 missed a board against the flopped pair of kings of Sam Papadimatos). Peter Tsioustas has also just missed the money after running A-Q into the A-K of Jamie Blackman, with the board being dealt Tc-Jh-3c-Td-2c. Blinds have also just popped up to 6000/12,000 with an ante of 1000. Blinds are up to level 18 (5000/10,000, ante 1000) and the average stack is north of 200,000 as we tick down to the bubble in the MAIN EVENT. It’s another busy afternoon in the Crown Poker room with a $150 NLHE Terminator event underway from Full House Group players in addition to the myriad cash games on offer here. But for the 67 survivors in the MAIN EVENT, all eyes are on that minimum payout of $1800. Among the bigger stacks in play are Alan Bird on 750,000, Andrew Dales 505,000, Daniel Keast 500,000 and Luke Simpson 420,000. Rowan Casey, Dave Brownlee, Pete Young and John Green are among the players who will narrowly miss securing a slice of the $445,000 prizepool after being added to the long list of eliminations midway through day two of the MAIN EVENT. Alan Bird’s steady progress up the chip count has continued throughout the morning and he’s now top of the tree on just over 740,000 (pictured above). We’re down to 68 players, just 14 away from the money. Play has slowed considerably since the break as the bubble looms less than 30 spots away. Martino Lascala had to think long and hard before making his last stand with A-Q only to find Brad Warner waiting with pocket kings. The board ran out jack-high to send Lascala on his way, along with Joanna Findlay, Joe Boustani, John Azzi and Alex Falon. We also just watched a remarkable hand with three players (two all-in) going to the flop holding A-K, A-7 and A-2. Despite a king in the window, the board ran out A-J-A-J for a split pot! Another scalp for Marc Jankovic after he again found pocket aces, which were no match for the A-9 of David Xu on a board of A-5-Q-7-10. He joins Jack Beynon, Paul Rolfe, Darren Price, Jordan Johnston, Sean Bermingham and Nick Bouyioukos among the casualties during the opening 15 minutes of level 17, leaving us with 84 players. In the barrage of eliminations late in the first sessions of the day, we missed the departure of day one chip leader Matt Nienhuys, who gradually leaked chips all morning before being KOed. The remaining 88 players are spread across just 10 tables, with the blinds now at level 17 (4000/8000, ante 1000) and the average stack at 151,000. That’s a cost of 21,000 per orbit, so it mightn’t be long until we hit the bubble at position 54. Everyone is taking a well-deserved breather after a torrid start to day two of MAIN EVENT III here at Crown Melbourne. After starting the day with 178 players, we’re down to 89 and just 35 short of the money. It’s also the first time we’ve had the chance to take a look at the market on Bookmaker.com.au with the favourites Daniel Keast ($17), Andrew Dales ($19), Luke Simpson ($21), Alan Bird ($26), David Chilcott ($31), Gerhard Niess ($31), Joe Boustani ($41), Shaun Elliott ($41), Alex Falon ($41), Elshan Mammadov ($41) and Brian Sockalingum ($41). For details, click here. Pocket queens versus A-K a race? Not today, as the queens continue to tally up a long list of victims. Latest was Joseph Chamoun, with Paul Ridsdale taking down a nice pot of more than 150,000. Charles Workman has also been KOed – he was all-in with Q-10 on a flop of 6-10-4 only to see big stack Luke Simpson call and turn over pocket sixes for a set, improving to a full house on the turn. Alan Bird’s stack also improved to 390,000 after flopping a set of sevens against the A-K of Carmelo Cisa, which failed to connect on the 10-high board. Blinds are up to 3000/6000 (ante 500) and the average stack is up to almost 130,000 with level 16 now underway and the first break of the day just over 30 minutes away. It’s the first time we’ve been able to catch our breath for the day, with latest chip counts on the way! Donna Smith, Debra Armstrong, Brendan Kentwell, John Yianni, Trung Lien, Bruce Reynolds, Michael Nenes, Todd Bailey and Brett Johnson are among the recent additions to the rail, along with Mark Szarafinski who watched his pocket threes crushed by the flopped trip aces of Shaun Perkins. 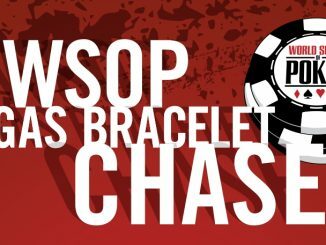 In our eight years of covering poker tournaments, we can safely say this has been the most amazing session we’ve covered – more than 80 players have been railed at a rate of one every minute to leave less than 100 players chasing the MAIN EVENT III title! Latest departures include Jason Dickson, Jeremy Pullen, Jason Dickson, Chris Morris, Richard Dilkes, Jodie Laidler and Alan Jenner while the K-10 of Lachlan Young stood little chance against the pocket aces of Sam Papadimatos and he is also out. Karma is a big thing for poker players, so Marc Jankovic might struggle next time he calls for “one time” after slow rolling pocket aces against the pocket kings of Sarah Lange, who was KOed after the board flowed 5-2-6-J-Q. The rich are getting richer at the other end of the count after Daniel Keast just claimed the biggest pot of the tournament. Pocket queens were again the weapon of choice as Keast watched the board run-out nine-high against his opponent’s A-J. Keast is up to 360,000 and running hot! Damien Stanley, Ben French, Glin Inmon, Danny Armstrong, Edith Martins, Rosalinda Etherridge and Cheryl Sumbar have joined the spectators on the rail late in level 15 on day two of the MAIN EVENT. Kon Kapsalis is also out after shoving pre-flop with A-K, only to watch the Q-10 of Alan Casas river a full house. The field is already down to 120! Almost 50 players have been railed in just over one hour of play early on day two of the MAIN EVENT. That leaves us with approximately 130 players, and the cracking pace shows little sign of slowing up. Joanne White, Daniel Lennon, Peter Simpson, Ben Marcuse and Geoffrey Flisher have all been KOed, while Glenice DeMarco and Robert Sylvester were railed by Chris Morris in dramatic fashion. It was Ah-2h for DeMarco, pocket eights for Sylvester while Morris held Kc-Qs. The board fell 10h-4s-Ad-Jh-Ac, and DeMarco yelled “yes” when the second ace landed on the river. She quickly reversed that to “no” when she realised Morris had made a straight. Just 15 tables are in use as the carnage continues early on day two of the MAIN EVENT here at Crown Melbourne. Peter Gerakiteys, Jabin Round, Robert Warden, John Kanaley, Gary Seed, Doug Dillon, Chris Byrne, Noel Olsen and Jack Kregas have all been KOed. Dave Brownlee, who finished fourth in MAIN EVENT II, has improved his chances of successive cashes after sending Celina Cole to the rail after his pocket kings improved to a set on the river against A-K. Chris Vale is also out after Billy Gatt rivered a flush with Ks-10s against Kh-Qh (board 3d-Js-4s-4h-7s). Play has commenced in level 15 (second of the day) with blinds up to 2500/5000 and an ante of 500, while the average stack is approaching 85,000. The MAIN EVENT dreams are over for Wendy Smith, Darren Hogan, Anthony Jones, Danny Ayoub, Peter Noble, Mary Zammit, Shane Cooper, Von Rodriguez, Tai Nghiem, Donald Davies and Adam Hawkins, who watched Jordan Johnston flop a full house with pocket nines (9-8-8) against his A-Q. The new chip leader is Daniel Keast, who has added more than 100,000 to his stack already this morning to sit on almost 350,000. 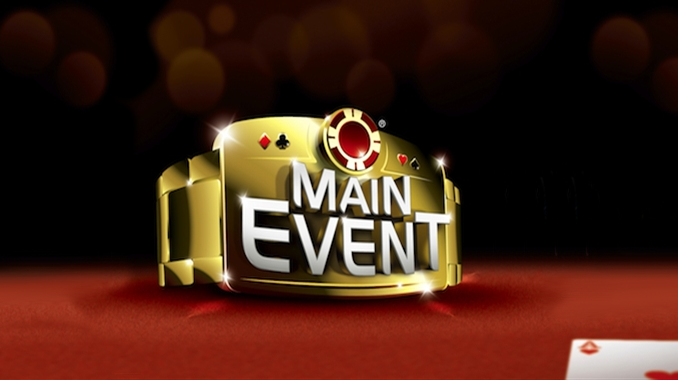 The prizepool for MAIN EVENT III has been confirmed with the winner assured a magnificent package valued at $100,000 including more than $80.000 in cash, Aussie Millions Main Event and MAIN EVENT IV seats plus a stunning bracelet valued at $5000. The top 54 players will earn a slice of the pie. The list of MAIN EVENT casualties continues to mount – Chris Barwick watched in horror as his opponent flopped two-pair, 10s and 9s against his A-Q to end his hopes to claiming the title. Pocket queens proved a highly profitable starting hand yesterday. We lost count of how many times queens cracked aces! Margaret Mimica just found queens in the hole and used them to send Carlo Bella (A-6) to the rail. Ryan Paton has also been railed, leaving the field down to 160. With so many short – very short – stacks, there was always going to be plenty of action to start play today, and that’s been the case. Already two tables have been broken with those sidelined including Belinda Jones, Howard Frizelle, Luke Livermore, Phillip Wilson, Matthew Cleary and Andrew Carter, who watched his A-2 start and stay behind the pocket sixes of Brad Warner. The three chip leaders (Matt Nienhuys, Daniel Keast and Elshan Mammadov) all started play on the same table but have since been split, much to their disappointment! Play is midway through the opening level of the day (2000/4000 with an ante of 500, while the average stack is at 78,500. Note that levels today are 40 minutes, up from 30 minutes yesterday. We can only hope that the two 888PL players asleep next to their McDonalds trays in one of the Crown food courts won’t be suiting up for day two of MAIN EVENT III, which kicks-off in the next 30 minutes. Maybe they’re just charging their batteries for the early start of 10.10am! It’s another sunny and warm late summer Melbourne day, meaning the cafes along the riverfront are packed with many of the 178 APL, 888PL and Pub Poker players preparing to take their seats in pursuit of a spot in the top 30, which will mark the end of play today. Welcome once again to PMA’s coverage of one of Australia’s premier poker events, which will continue through to the crowning of the champion early tomorrow evening.